People who get lost in the forest usually wander in circles as they try to follow their own sense of direction, often ending up right back where they started. They work so hard but end up getting nowhere. A man who wanders from the way of understanding Will rest in the assembly of the dead. 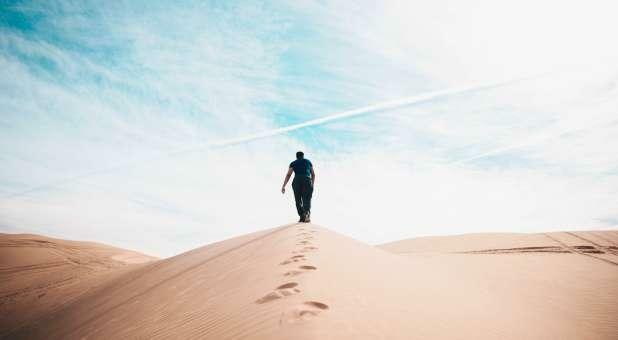 (Proverbs 21:16) This reminds me of when the people of Israel wandered in the desert on the way to their promised land. This is a great lesson for us as believers. It’s so easy to get off track, trying to follow our own logic and desires. We run in circles, worrying about having enough, about what others think, and about protecting our own. Following our own sense of direction, we get nowhere. God understands who we are and is patiently waiting for us to look to Him. You are born of God to be led of God. (Read 1 John 5:4). You are not expected to live an independent life but to be totally dependent on the Greater One that lives within you – the Holy Spirit. Instead of making choices based on fear, relying only on what we know, we can choose faith by relying on what God says He has given us in His Word. Lord Jesus paid the price for Your days of confusion and wandering are over. I am born of God to live above and beyond natural circumstances. God’s Word is my guide in life. I believe, confess, act, expect and manifest the Word. In Jesus’ name. Amen.